The German lender earned 400 million euros in the second quarter, higher than analysts expected. The fact that boss Christian Sewing made deeper cost cuts without revenue collapsing suggests a nadir has been reached. But a slump in trading means there is plenty more pain to come. 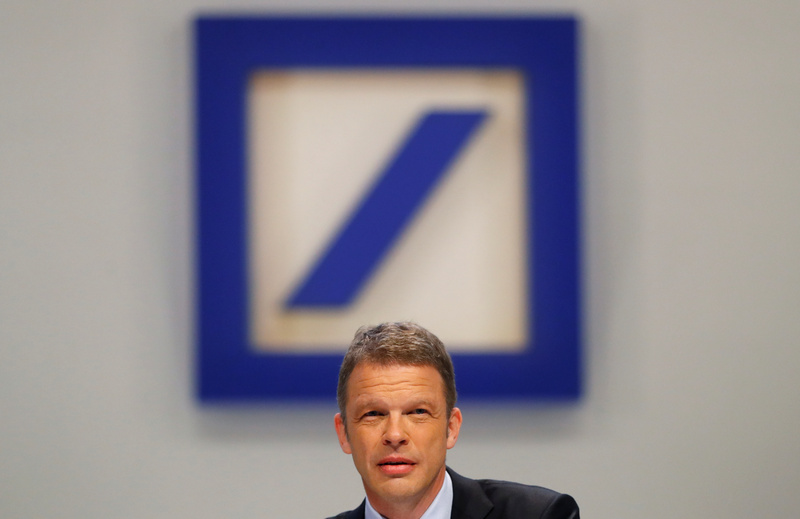 Deutsche Bank on July 16 said it expects to report pre-tax profit of about 700 million euros ($818 mln) and net income of approximately 400 million euros for the second quarter. "The results are considerably above the average consensus estimate," the German lender said in a statement. Deutsche said the published average of analysts’ estimates was for pre-tax profit of 321 million euros and net income of 159 million euros. It added that it expects group revenue to be around 6.6 billion euros, compared to an average consensus estimate of 6.4 billion euros. Deutsche is due to publish its second-quarter results on July 25. Deutsche shares were up 9 percent at 10.47 euros by 0940 GMT on July 16.